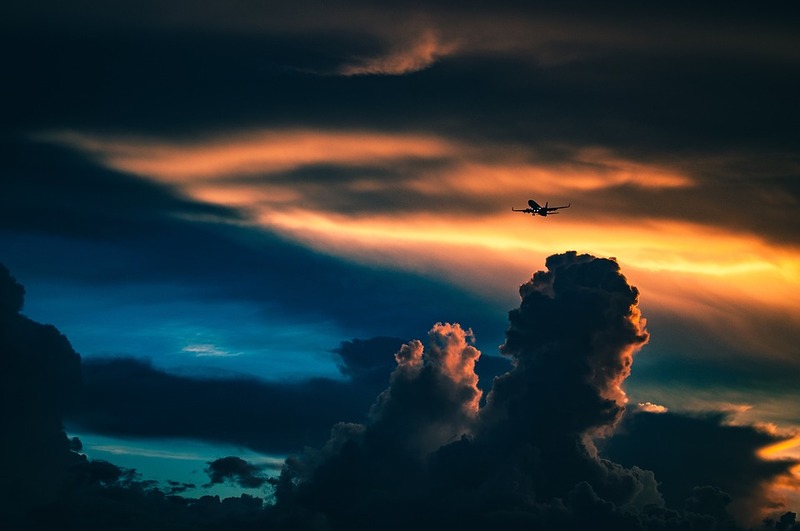 The passenger airline industry in Canada is limited to a few players (not unlike any other industry other than oil and gas/mining), but adheres to the same trends and drivers as the global airline industry. Airlines will usually be covered in Canada by the industrials subgroup under diversified coverage. Canada, as per usual, has more of an oligopoly structure instead of the cutthroat business environment in most industries in the US. To perform normalized analysis on airlines, a lot of adjustments need to be performed, especially in terms of how the airline reports operating and capital leases as there is some liberty in terms of the reporting on that front. Airfares – optimized using revenue management systems to make the most out of capacity and flight paths. Although the airplanes/leases are relatively fixed costs, routes can be changed to serve demand markets so there is structural flexibility. Certain routes will yield revenue depending on how fares are split between code-share partners. Potential passengers have varying criteria for booking a flight. This looks heavily at flight configuration (is it non-stop or is there a layover? What time of day is the flight? What is the flight frequency in case something comes up?). How do you boost revenue? You can add new destinations (volume). You can add connectivity (volume and pricing for convenience). You can optimize fleet deployment. You can upsell convenience and flexibility (price) via flight change and cancellation packages. You can offer more products in flight (less bad food, alcohol, Wi-Fi, entertainment packages). You can sell premium service (First Class, Business). Cargo – A carrier can generate cargo revenues in domestic and international markets through cargo space on regularly scheduled passenger flights. This will vary depending on the airline’s available belly space in aircraft and the nature of their fleet (bigger planes have more room). Cargo demand will also fluctuate based on the attractiveness of alternatives. For non-urgent cargo, this may mean ocean freight, which is cheaper but slower. When crude prices are high, this will be accentuated, as the incremental kerosene cost rise passed on through cargo fees will be much higher than incremental residual oil costs for the ocean freighter (possibly a decrease in costs due to the larger amount of leftover product in refining). Chartered Flights – Instead of selling tickets, you can rent out an entire plane. Frequent Flier Miles – high margin, low volatility. Many carriers have credit card programs that generate substantial cash flow. Much of this expires unused (breakage). The highest cost for a carrier is either fuel or labor. Which is higher depends on the cost of labor in the home market and the presence of unions as well as the underlying price of jet fuel (kerosene, where prices are highly positively correlated with crude). Fuel: Usually fuel prices are actively hedged with forwards (50% of next 12-month forecasted demand), although some airlines choose to be unhedged. This is very beneficial should oil prices drop, but as can be surmised, is not great when oil prices rise. 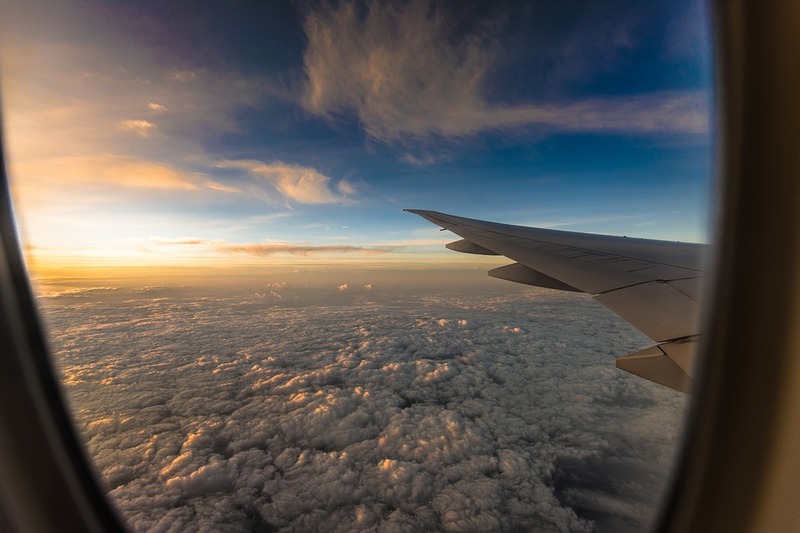 However, depending on the level of competition in the markets it serves, there may be a natural hedge in the business as rising fuel prices may mean all airlines raise rates. Canada is not a particularly competitive market and airlines are less commoditized, so for the recent oil downturn, neither major carrier dropped rates when oil prices fell (although WestJet had to adjust pricing due to softness in the home market). As kerosene (jet fuel, more energy dense than gasoline – longer carbon chain) is less liquid (in finance terms) as a traded commodity than crude, the price of hedging is less favorable than hedging crude, but hedging crude will yield significant basis risk (movements in crude may deviate from movements in kerosene, for instance if gasoline demand spikes). A variety of strategies can be employed to best serve the airline as cost and efficiency are weighed. Hedging costs are also a function of creditworthiness. An airline on the lower end of the credit curve may find hedging less than optimal due to the pricing that they may get in an over-the-counter transaction. Delta actually owns a refinery and midstream assets to supply jet fuel and is somewhat vertically integrated. This helps to smooth earnings but may not be favored by some investors due to such a business not being part of an airline’s core competency and without scale or knowledge advantages. If an airline does hold refining assets, there will be a disproportionate need for kerosene, so the remainder of the refined products will need to be marketed. Labour: Depending on labor laws in the region the carrier operates in and union power, labor costs may vary widely. This may also trickle into pension costs and be a drag on earnings, and if severe, possibly be a credit concern. Participation in a global airline alliance (Star Alliance) allows for cost sharing. Fees: Airport fees and taxes are higher in Canada (due to the costs of the underlying destination and departure airports as well as due to economies of scale). This is reflected in being able to fly from New York to LA for ~$300 and Toronto and Vancouver for ~$800. Depreciation: Not a cash expense, but the initial capital outlays for parts purchase influence this greatly (and may be more important since that is an upfront cash outflow). Depending on what jurisdiction the parts are made in (likely not Canada), this is heavily influenced by FX fluctuations and may need to be hedged via FX forwards if purchases are known. Maintenance: Maintenance work that keeps planes running. Expensed during that period as no future economic benefits flow through to the firm from maintenance. Maintenance fees can sometimes be lowered depending on warranty structures contracted with the OEM. Leases are generally split between wet leases and dry leases (and sometimes in the UK they have additional taxonomy for damp leases). Wet leases are short-term leases where the lessor provides the aircraft, crew, maintenance and insurance. These are great for a lessee who needs an increase in capacity in a hot market (times of peak traffic), periods of heavy maintenance (own fleet is being worked on) or for seasonality purposes. Wet leases are also a good way to initiate a new route and figure out demand mechanics before making an aircraft purchase. Generally wet leases will be negotiated carrier-to-carrier. Damp leases or moist leases are similar to wet leases, except the lessee provides the cabin crew (the lessor will still provide the aircraft, flight crew, and maintenance). This can be good to ensure brand consistency and loyalty, and may be cheaper given the lack of markup for labor. Dry leases provide the aircraft only. Dry leases are negotiated between carriers and banks or fleet leasing companies. Wet leases are usually operated under the lessor’s air operator’s certificate (AOC) whereas dry leases are operated under the lessee’s. There is an enormous amount of liberty that air carriers use in reporting their leases in their balance sheet. There is a lot of literature on how to best treat leases in capital structure, and we (and most corporate finance professionals) generally capitalize operating leases. This can be through discounting future leases, but usually the amount of debt equivalent assigned should be a variant of next twelve months or last twelve months or an average thereof for operating leases multiplied by an industry specific multiple (we like to use 7.5x). Is the fleet comprised of wide-body (Boeing 747 and Airbus 380) or narrow-body aircraft? Is there a large number of short haul small planes (Bombardier Q400)? Import-Export Agencies of countries may offer generous term loans for the purchase of aircraft manufactured by domestic companies – Export Development Canada for Bombardier and Ex-Im for Boeing. The age of the fleet is probably the best metric to evaluate first. All things equal, a younger fleet age is a stronger fleet as maintenance should be lower (and covered by aforementioned warranties), fuel efficiency is better (reducing fuel costs), and signals that lower purchases are needed in the near future (large lumpy capex that money will need to be set aside for). The security on the fleet is also important to consider. The more unencumbered the fleet is, the better flexibility the airline has to take on incremental financing. A large amount of secured debt may have covenants that may make fundraising more difficult. Lenders can also have security against hangars and terminal space. Large cash balances and restricted cash usually will show up on airline balance sheets. This is due to the need for a cash cushion to deal with industry shocks (seasonality, swings in working capital, oil supply shock, SARS-type events). There may also be provisions for restricted cash due to the purchase of airfare before the actual flight. Go on Bloomberg and in the main dropdown for the equity you can look into supply chain. This is an opportunity to get to know the Original Equipment Manufacturers (OEMs) in Boeing, Airbus or Bombardier (an often troubled company) who make the planes that make up the fleets of Air Canada and Westjet. Airlines have historically had poor profitability metrics (ROA ROIC ROE). Low barriers to entry and high supplier power (think oligopoly that supplies the planes) as well as imprudent leverage have hurt the industry consistently. It may be surprising to some that barriers to entry are low, but when credit is cheap, various new airlines will pop up. 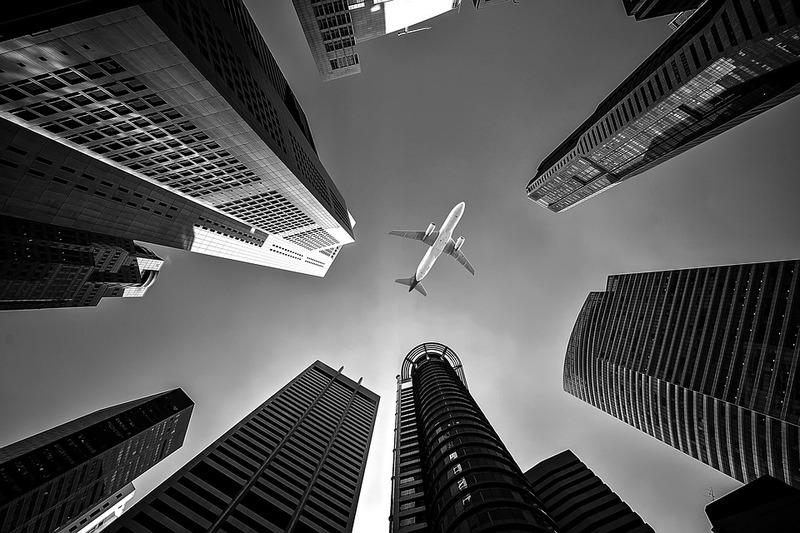 Lenders consider airlines having very good collateral – the fleet has low risk of obsolescence (A Boeing 747 is a Boeing 747 no matter whose name is on the plane), so the capital intensity is at the OEM level. How do you value an airline stock? Airline valuation is primarily viewed through 1) EV/EBITDAR and 2) Price/Earnings. EV/EBITDAR allows for the whole value of the company to be evaluated on a pre-leverage basis – and normalizing for leases (which most bankers consider to be a form of leverage). The idea is that an airline is still an airline regardless of how many planes they lease and how many planes they own and how much debt they put up against their planes rather than just at the unsecured level. The idea is that the airline is prudent enough so that the way they fund their fleet is optimal from an economic standpoint. Leasing a plane carries with it implicit interest in the leasing costs – if it did not, all airlines would choose to lease and vice versa. As such, to solve for equity value the EBITDAR is required. From the bottom up, interest and taxes are added back to earnings (as are irregular or one-time items), before adding back depreciation to get to EBITDA. After, aircraft lease expenses are added back to get to EBITDAR. That is the unlevered cash flow proxy. From there, the EBITDAR is multiplied by an appropriate number to get to enterprise value. Subtracting the debt and adding the cash (airlines hold a lot of cash and some of it is restricted, so that is not subtracted) will yield the equity. For a more pure approach, airlines (given the labor intensity and clout) tend to have large pension obligations which may be considered debt. Also, foreign airlines have taken on holdings in other airlines (but not in full due to federal aviation ownership requirements), so EV may be adjusted for associates (e.g. Virgin Group’s stake in Virgin America). Leases used for valuation are ideally on a next twelve month basis (because valuation is forward looking) – however, next twelve month leasing costs are uncertain and sometimes not broken out, so last twelve months aircraft rent may be used as a proxy. For normalization purposes, analysts will often just break out aircraft rent and use an industry standard multiple and strip out rent for hangars and airport slots to simplify things. For Canadian airlines, WestJet has historically traded at a premium to Air Canada due to Air Canada’s legacy carrier issues and high leverage – although Air Canada has been outperforming recently as it expands operations and deleverages. RPM/ASM: load factor is a good measure of capacity. If this is too low, money may have been left on the table as it costs close to nothing to put an additional customer on the plane. Alternatively, per individual path if there are too many customers, money may have been left on the table if you were able to charter an additional flight. How often are flights delayed and how long? How long do flights take to take off from the planned departure time? All airlines look heavily at this metric as with other capital intensive industries – usually targets are 10-15% but LCCs have been running in excess of 30% with lower fuel prices lately, although with oil rising again kerosene may depress ROIC. Full cycle, 10-15% is reasonable. Airline bankruptcies are the bane of many an airline investor, so it is appropriate to have a discussion on airline credit. Historically, airlines have taken on a lot of leverage to juice shareholder returns, with it being a rarity to see an airline with a consistent investment grade rating (and thus many airlines such as WestJet and Southwest pride themselves on having one). The magnified shareholder returns are good during boom years, but the huge effect of fuel on operating margin meant that any price shock to oil meant Chapter 11 bankruptcy across several players. Adding to this, most large international airlines (the old model) have huge labor and union issues which translate through strikes and massive pension obligations that become difficult to service. Debt is where the smart money is, and airlines have had to appeal to credit investors through a variety of products other than unsecured corporate bonds – including term loan Bs, high-yield bonds with a first lien on planes, enhanced equipment trust certificates (a neat amortizing structure where the planes are owned by a company that exists only to lease to a carrier and pays out as the airline pays aircraft rent), plane securitization and springing lien agreements. EBITDAR Margin – Airlines look at EBITDAR because the decision to lease vs to buy should not be a consideration in analyzing how the airline is operated. EBITDAR is accordingly the appropriate figure to look at vs revenue for operating margin. EBITDAR can be easily calculated by adding aircraft rent expense to EBITDA – analysts usually consider other rent separately (real estate, hangars, airport slots). Cash Flow to Debt – Despite strong EBITDAR, airlines may still have financial difficulty if leverage is too high – so available cash flow after interest, dividends and working capital changes should be compared against debt to see how comfortably they can service it. 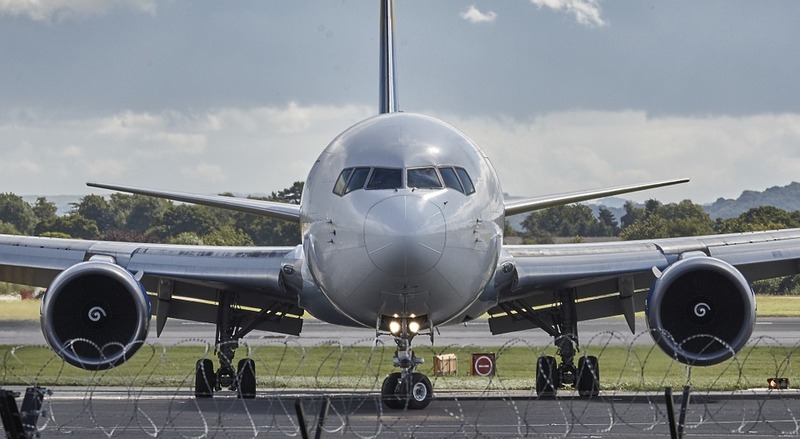 EBITDAR-to-Fixed Charges – An airline version of interest coverage (although interest coverage is also used), it looks at cash flow available for payments and addresses leases as a form of committed obligation as well as principal payments. Fleet – is the fleet modern? Is the fleet fuel efficient and getting good fuel economy for the price? Flights – Is this a short haul carrier, long haul carrier or both? Take offs and landings consume a disproportionate amount of fuel (think along the same lines as being on the highway versus driving in the city for fuel economy). End markets – What are the most popular destinations and what is the concentration? Where is the home market and what is the percentage of flights originated from there? When the oil patch took a hit due to global oversupply, WestJet’s core business took a large hit. If consumption is growing and debt is cheap, you may see high demand in vacation zones (Caribbean, Mexico) and carriers serving those markets may see an uplift. From a credit perspective, bond investors like to see diversification so regional fluctuations can be smoothed. However, global macroeconomic weakness will still hurt the business. What is consumer and business confidence like in the markets where the company is operating in? Market Segmentation – Is the airline a low-cost carrier (like WestJet, JetBlue or Southwest) or does it primarily cater to a more affluent business traveler focused base (Cathay Pacific, Emirates)? Is the airline moving in that direction and does it have the brand power and product offering to compete? Route Networks – What routes do they have access to? Does the carrier have strategic joint ventures for international route networks? International alliance relationships with foreign carriers are important as it improves access to international markets, which is put together to allow for an integrated seamless flight experience (instead of having to book multiple flights independently). Arrangements can include reciprocal code-sharing or frequent flier point collection participation. Looking at who in the JV controls scheduling, pricing, reservation, ticketing and seat inventories should be evaluated. Flag Carrier – Airline that enjoys preferential rights for international operations. Also used to refer to previously state-owned airline that has since been privatized (regardless of continuing privilege). Firstly, thank you so much for posting this primer as it is extremely helpful for a university student like myself working on an ER Report. I just had a question in regards to the use of EBITDAR instead of EBITDA. I was able to get some clarification on the web, but I still can’t rationalize it. If airline A makes EBITDA of $100 and airline B makes EBITDA of $110; wouldn’t it make sense to keep airline lease expense in their in order to express how much fixed cost or airplanes each had to rent to make that EBITDA? The idea is that leasing is a capital decision like how much debt you choose to have. If you don’t lease, you are possibly funding purchases with debt so we are just normalising to see what kind of an airline business you are.